Lŏkke | Olatz de Andrés is a company of artists who make choreographic and social projects, through the means of dance and movement. 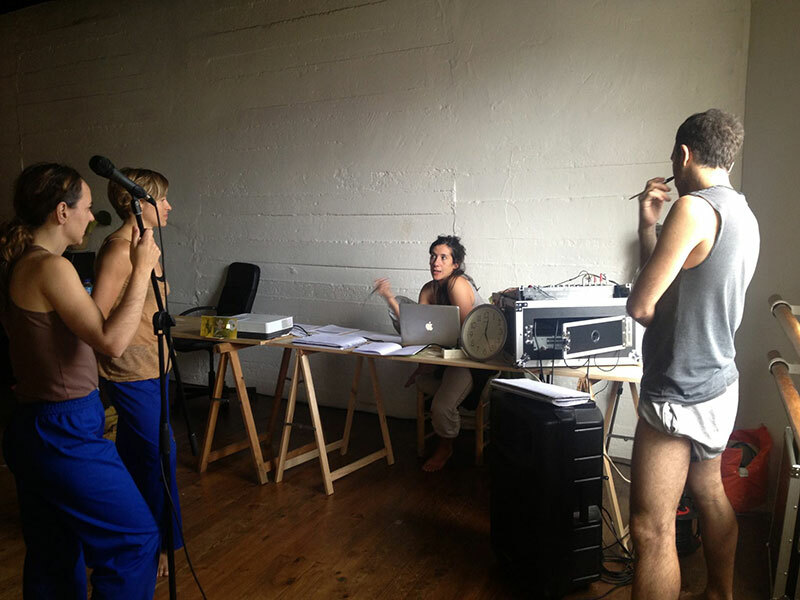 Lŏkke works as a constellation, gathering dancers, dramaturges, light and costume designers, visual artists, sound artists and experts from all fields for each creation. Materialising ideas through the body, making them clear and readable for the audience. Teamwork, where the individual is merged within the collective and where leadership is a shared principle passed on to each of the member of the group. Movement detail and movers who have a personalised way of approaching dance. Science fiction related thinking, atmospheres and the relationship between cinema and choreography. The relationship between stillness and movement. Followed an independent path, training in Contemporary Dance, Improvisation and Choreography in Bilbao, Granada, Barcelona, Geneva and London. BA in Translation and Interpreting, University of Granada, MA in DMT University of Barcelona, MA in Choreography LCDS-The Place (London). Yo soy una cosa que dura (nominated at Festival Maspalomas, G. Canaria), dA CAPO (2009) Zootropo (Antigua & Barbuda, BCN), Privolva (2011) (nominated at the Concours de Danse Contemporaine (R) econnaisance 2013, Grenoble) (France), Privolva Landing (2013, 1st Prize of the 27th Choreographic Competition of Madrid), El Cielo Ahora (2014), Esfera (2015), DSS2016, selected at Red A Cielo Abierto 2016), Bardo (2015, Atalak Dantzaz), The Endgame (2016, premiered en Amphytrion AZ) with the support in the research of The Place (UK). These works have toured in Spain, United Kingdom, France and Germany. Between 2010 and 2015 she has combined her choreographic practice with the co-direction of Muelle3, dance and creation space, a shared work with Igor de Quadra and Matxalen de Pedro. Muelle3 promoted Training, Research, Creation and Dance & Community projects. Some of the dance and community project developed have been Ametsak Dantzan (2014), Gorputz Ttanttak (2015) and Imitatzeak Merezi du (2015) with IES Ibarrekolanda de Bilbao. Ametsak Dantzan https://vimeo.com/114759854 con el IES de Ibarrekolanda de Bilbo. Gizaphoniak: imitatzea merezi du/merece la pena imitar (pass: detres) con el IES de Ibarrekolanda de Bilbo. Moreover, she has worked in the initial design of Dantzabiz (Dance House of Bizkaia), has been part of the ADDE board of members, and since 2015 has been a member of the Basque Council of Culture. She is also currently working on the commission for Dantzan Bilaka as an artistic coordinator. Dantzan Bilaka is an initiative of the Basque Government to help the development of emerging dance artists and choreographers.